﻿A device that measures movement and balance can effectively help assess and track the progression of Parkinson's disease, even when medications are used to reduce Parkinson's symptoms, research found. Researchers found that the APDM Mobility Lab - a portable set of sensors that track gait, balance and other movement - can effectively help clinicians estimate the depth and severity of the neurological disorder in affected individuals, even while patients are taking medications to control trembling and other symptoms. The findings appear in the Journal of the Neurological Sciences. Parkinson's disease is a progressive neurological disorder characterized by trembling in the hands, arms, legs, jaw, and face; rigidity or stiffness; and balance and coordination difficulties. According to the Parkinson's Disease Foundation, more than 10 million people worldwide and more than 1 million in the U.S. live with the disease. Approximately 60,000 people in the U.S. are diagnosed with Parkinson's disease each year - most often people age 50 and older and more frequently men than women. At present, there is no cure for Parkinson's disease. Medications target symptoms, but the disease can be difficult to diagnose accurately. There are currently no blood or laboratory tests that have been proven to help in diagnosing sporadic Parkinson's disease and diagnosis is typically based on medical history and a neurological examination and observation, according to the Foundation. 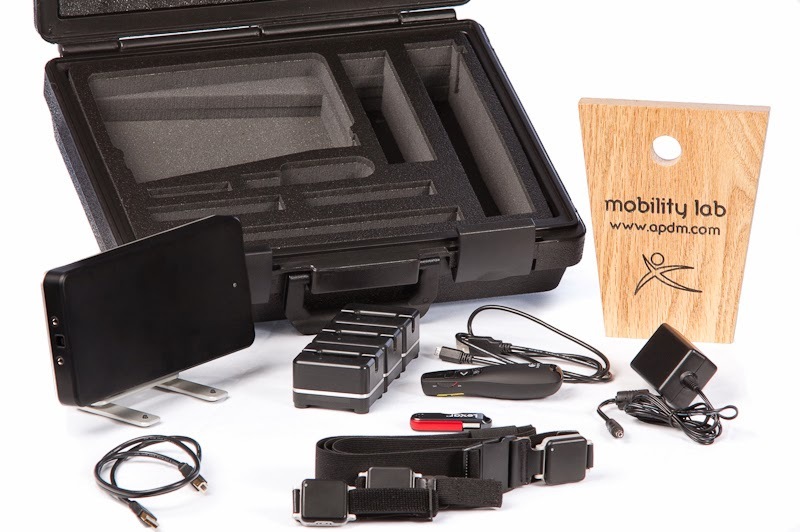 The APDM Mobility Lab uses wearable sensors and sophisticated signal processing to track even subtle changes in gait, stride, balance, rotation, and efficiency and range of movement in upper and lower limbs and torsos. The system is typically used for athletic training and by universities for research and evaluation. The findings evolved from a clinical trial comparing 135 individuals with Parkinson's disease and 66 people without the disorder. Participants performed two tasks designed to assess gait and balance while connected to the APDM Mobility Lab through six small sensors on the limbs, chest, and lumbar area. The research give hope for an earlier and more certain diagnosis of Parkinson's disease, and identifying the most effective treatment. Based on material originally posted by UT Southwestern Medical Center.